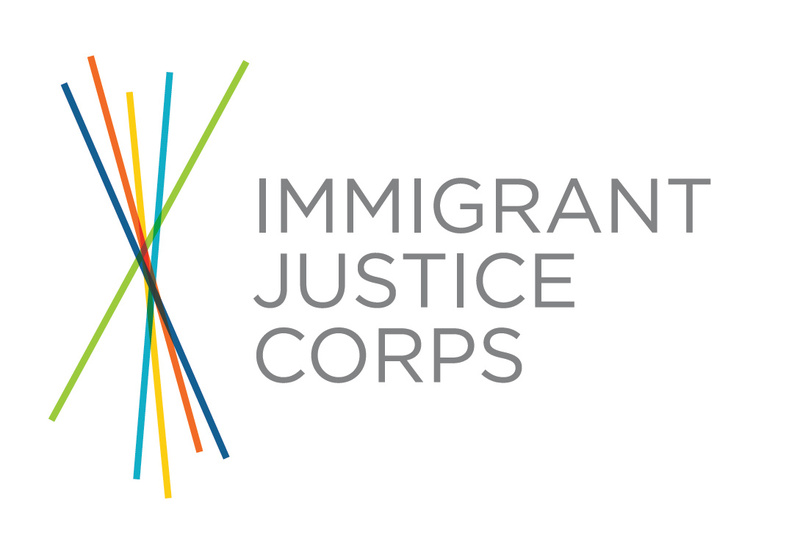 Immigrant Justice Corps is recruiting its next class of Fellows. We will award 25 two-year Justice Fellowships to recent law graduates from around the country and match them with top immigration non-profits in New York City and surrounding counties. Justice Corps fellows serve the newcomers who most need legal help, and collectively they expand the quality and quantity of legal representation for under-served immigrants. We are recruiting people with a demonstrated commitment to immigration law and the intent to remain in the field permanently. Justice Fellows will be placed in leading non-profit legal services organizations, which will be selected as hosts on a competitive basis. Fellows, once chosen, will have the opportunity to indicate their preferences for the host organization where they will work. The goal of the program is to send the best new lawyers to where the need is greatest, and IJC will make final placement decisions. Justice Fellows will represent immigrants fighting deportation, as well as those applying affirmatively for asylum and for relief as victims of crime, domestic violence and human trafficking. Justice Fellows will be supervised primarily by experienced attorneys at their host organizations, with supplemental support from IJC’s own supervisory staff. Justice Fellowships run for two years. During the Fellowship, Fellows’ salaries ($50,000/year) and benefits will be underwritten by IJC. Fellows participate in a comprehensive immigration law training program at the start of their Fellowship. Throughout the course of the Fellowship, Fellows will meet regularly as a group for professional development activities, skills trainings, case sharing, reflection sessions and other programmatic activities organized by the IJC staff. At the end of the Fellowship, IJC Fellows will be extraordinarily well trained, deeply networked in the immigrant rights community, and committed to developing creative strategies to fight poverty and ensure access to justice. The Justice Fellowship is for recent law graduates. Applicants may be current third year law students, may have graduated in 2015, or may have graduated in 2014 if they have been on a fellowship or clerkship since graduation. Fluency in a language other than English is highly desirable. All Fellows must begin on August 29, 2016. The online application will be open between September 15thand November 13th. Applications are due by 11:59 p.m. on November 13, 2015 and must be submitted via the IJC website: www.justicecorps.org. Finalists will be interviewed in early December in New York City or via video conference. Fellows will be informed of their selection by December 31, 2015. · Two letters of recommendation, one an academic reference and one from a prior employer or someone who can speak to the quality of your work in a professional setting (internships, work study and term-time employers are absolutely fine). · A statement of interest no longer than 500 words describing why you would like to be an IJC Justice Fellow. Questions to consider in drafting the Statement of Interest include: Why are you interested in immigration? How might an IJC Fellowship prepare you for the career you may want to have in the future? What skills and experiences have prepared you for work with immigrant communities in New York? · A short essay on the following topic: If you coulddesignAmerica’s immigration system from scratch, what would it look like? Who can immigrate? Under what terms? What, if any, restrictions? Be bold, be creative! No more than 500 words, please. If you have any questions, please contact us at info@justicecorps.org. For more information, visit www.justicecorps.org and on Facebook/immigrantjusticecorps.